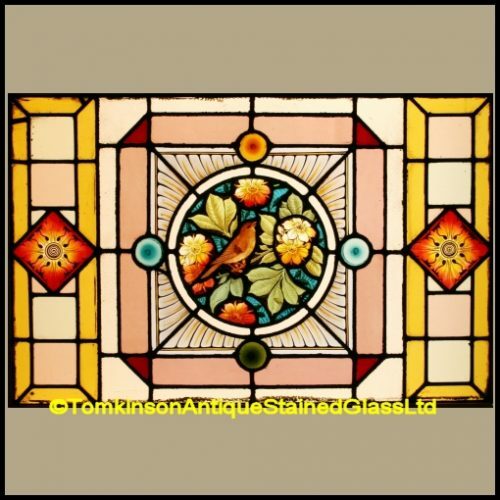 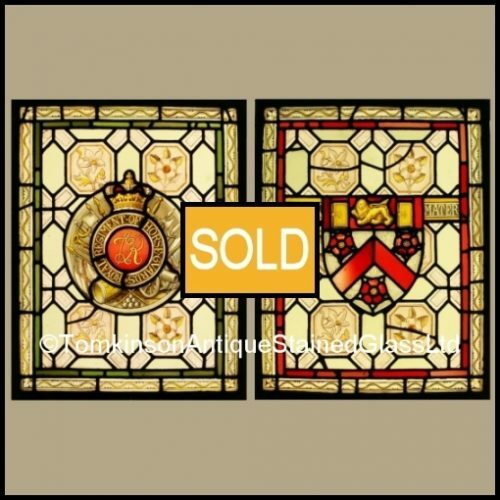 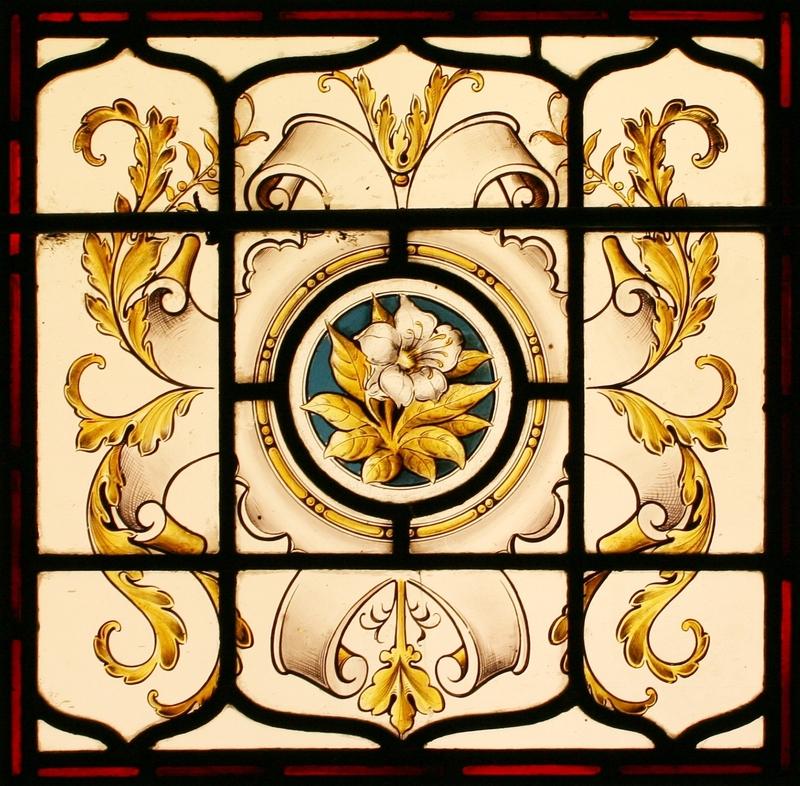 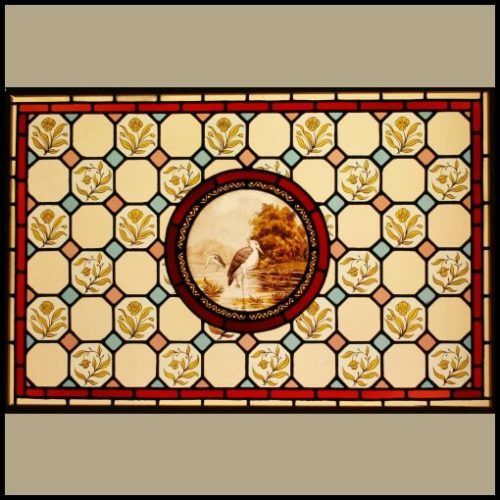 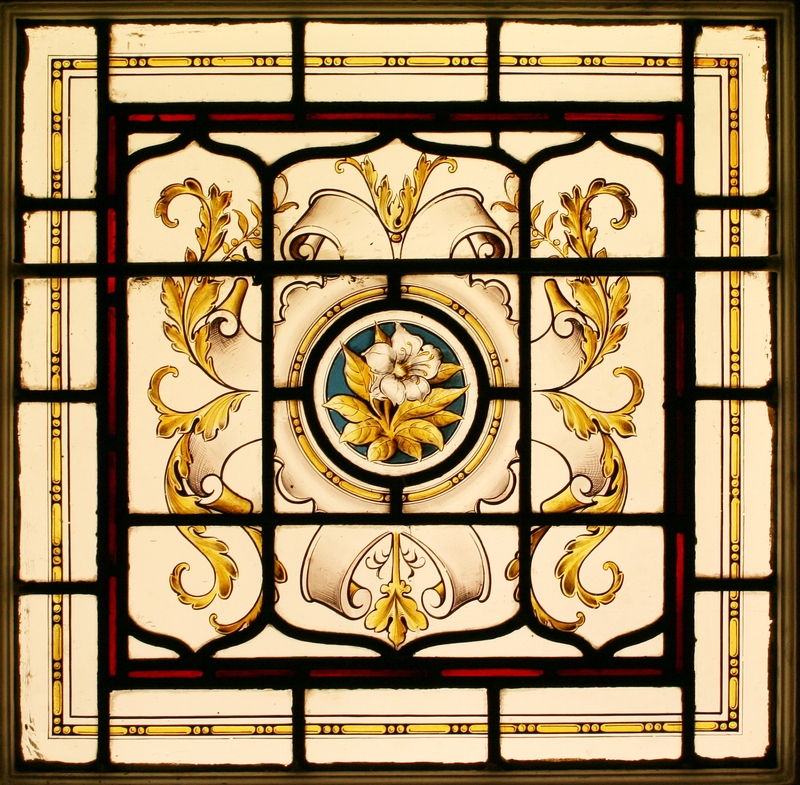 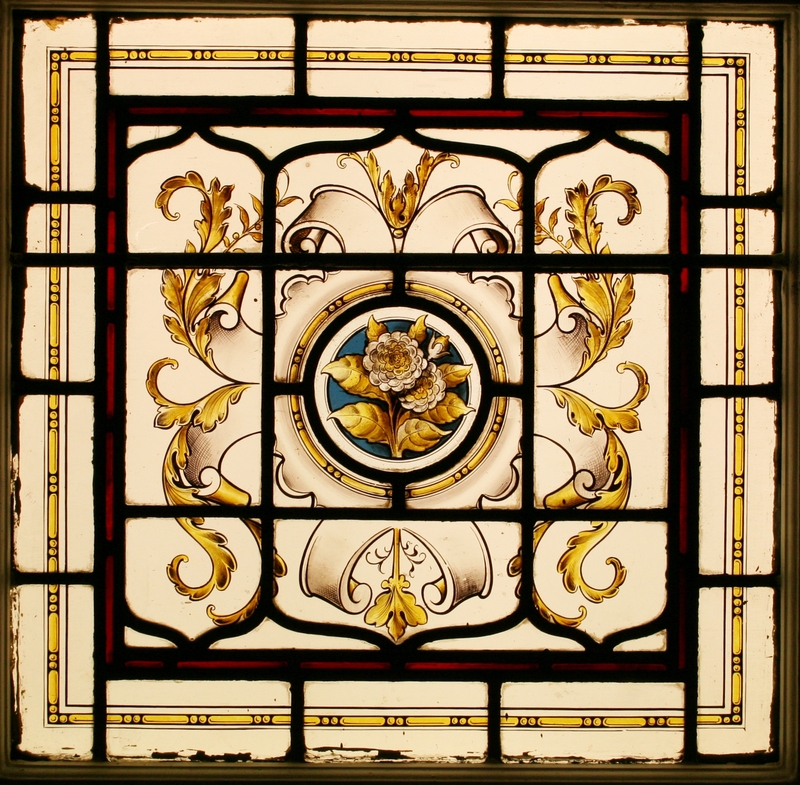 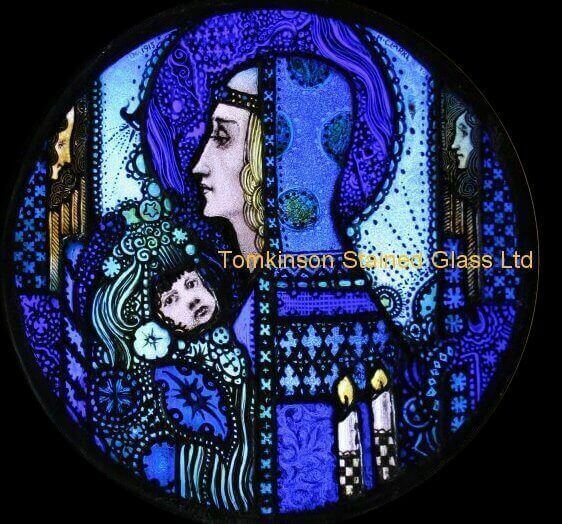 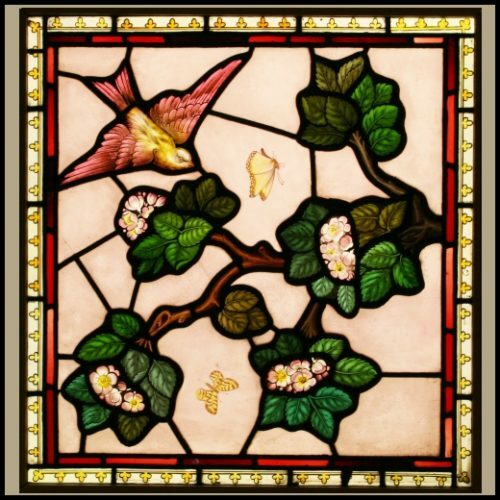 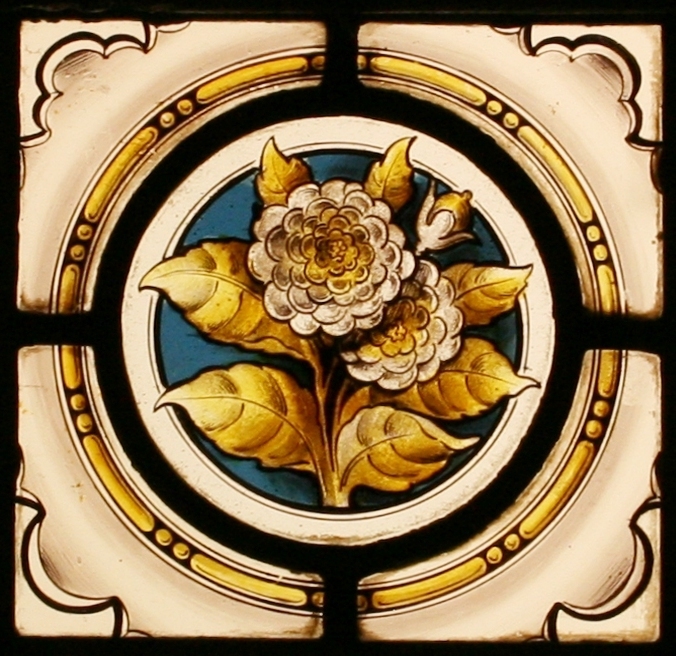 2 Antique Victorian stained glass windows, each leaded with a central acid etched roundel and hand painted depicting a flower. 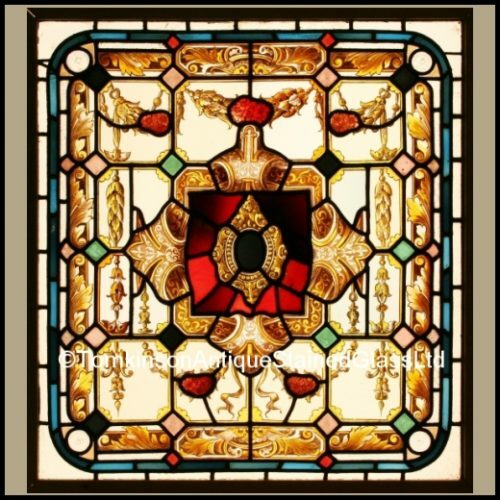 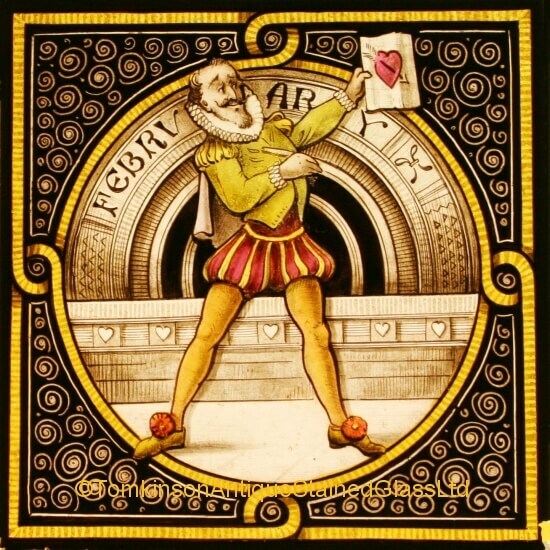 Around is a acanthus cartouche, hand painted bead and coloured glass borders. 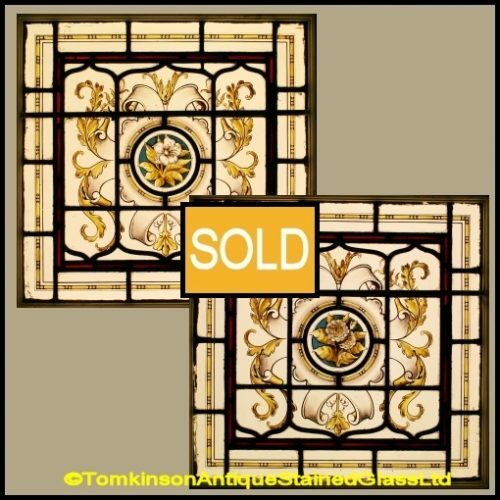 All in excellent condition and in original pine frames. 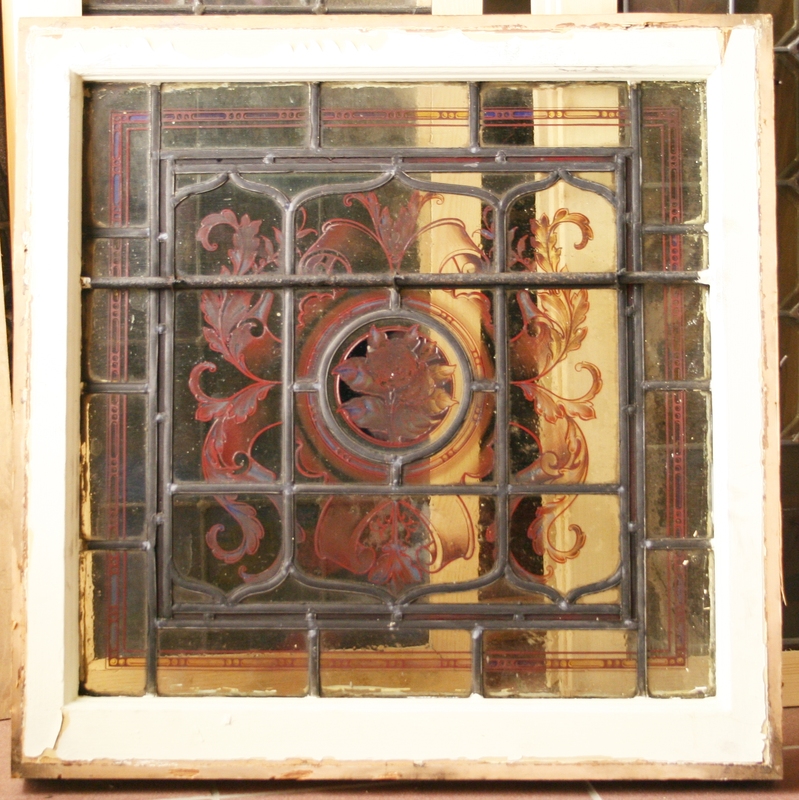 Frames just need sanding down and repainting.